As some of you know, I was invited to attend a 10 residential conference at Windsor Castle in July. At one of the sessions we entered the room to find all of the chairs removed and it filled with a number of easels with large bits of blank paper attached to them with pencils and charcoal to hand, and we were invited to spend 2 hours drawing. I can’t draw or paint. I have been told I can’t over many years, most often by me. I can’t translate what my eye actually sees in terms of lines, shade and shape - all too often I try to draw what I am asked. I need to unlearn what I have been told about my ability and relearn to look and to really see what’s there and to represent that. 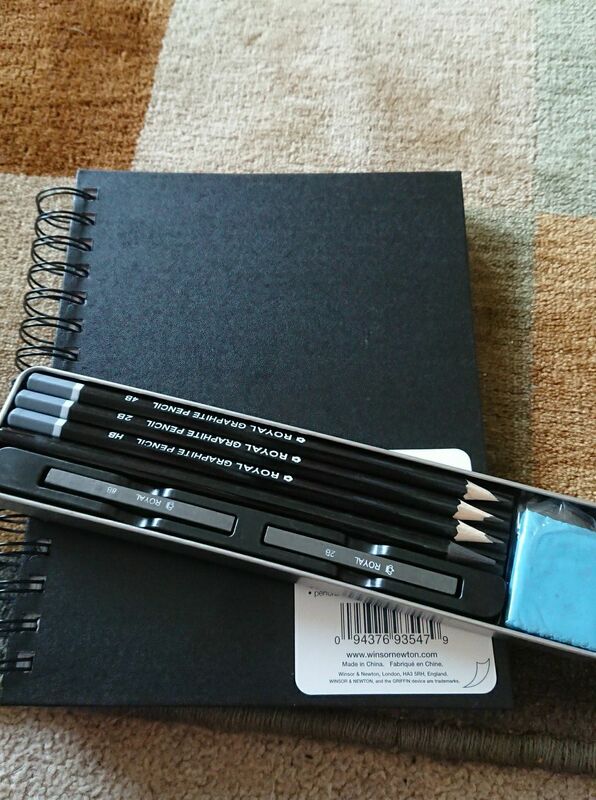 I have bought a sketch pad and some pencils and I am trying to unlearn. Not to draw a thing but to look. To see lines and shapes. We all come at life with presuppositions like this - previous experiences or statements in the past shape our response to something in the present, sometimes we can name that as something that happened to us at school or something a friend or family member said. Sometimes it’s things we just cant name. It’s the same with people. Daryl Davis, a black blues musician, has spent 30 years befriending members of the KKK. He goes to their rallies; he goes to their homes and eats with them. ‘How can they hate me if they don't know me?’, he asks. People have been wanting to know more of Jesus’ teaching by the time we encounter him in this morning’s Gospel reading. By asking his disciples who the Son of Man is, He trying to gauge how much of what he teaches is hitting home, but also wether people have grasped who he is and by who’s authority he is ministering. By the disciples naming John and Elijah and Jeremiah - people are identifying Jesus with what they have known themselves or have heard in the stories of the faith of their ancestors from the past. They need to unlearn what they think they know about Jesus if they are to truly grasp who he is and what God has called him to. Here’s the news folks - God was already at work in Peter. In foot in mouth, getting it wrong, Messiah denying Peter. God was at work in Him. So when Peter answers Jesus’ “Who do you say that I am?” question with “You are the Messiah the Son of the living God” this rose out of Peter’s experience of God at work in Jesus yes but also of God at work in Peter, enabling him to see Jesus his friend and teacher in a new way. But Jesus goes on - I tell you, you are Peter, and on this rock I will build my church, and the gates of Hades will not prevail against it… What Jesus actually says is “I say to you Peter (Petros) that on this rock (petra) I shall build my ekklesia (assembly; usually translated church) and the gates of Hades shall not overpower her.” The word petra translated as rock is grammatically feminine and it agrees with the Greek word ekklesia, which is also grammatically feminine. Thus, the noun petra does not refer to Peter. Jesus will build his church on one so fickle, so week, who would let him down, who would deny him and yet despite all of this - the gates of Hades would not prevent the good stuff that God is doing in and through him - because Peter has come to know that Jesus is the Messiah. It is this confession on which the church will be gathered and built. On a shared belief; on a shared experience on the life changing news that Jesus is the Messiah and the Son of the Living God - a God who enters our present experience; a God who is relevant to our here and now and not focussed on dead prophets or the things and ways of the past. Peter’s confession of Jesus as Messiah cashed up. What he confessed with his mouth and heart impacted the life he lived. What this meant was that Jesus’ way and the values of the Kingdom were Peter’s first priority - his own concerns and needs were secondary. What we are presented with in this morning’s Gospel isn’t some early church creedal statement; this isn't a piece of doctrine inserted into Peter’s mouth - Peter seems to be a person who speaks first and suffers any consequences later. He couldn't help himself in saying what he said that day. It was a direct response to Jesus’ question and a response to being in his presence. What we confess of Jesus here in Church in our creeds and hymns and prayers, impacts what we live - our whole lives. Yes our response to Jesus is more formalised in our liturgy but at it’s heart is the same instant and vital response - yes Lord you are the Messiah; yes Lord have your way; yes Lord your will be done on earth and in my life as it is in heaven. Peter’s confession of Jesus’ Messiahship was due to God working in and transforming him. As we confess Jesus, God is still working in us, transforming us. And we’ll know we are being transformed by God ourselves by the way we act and react and I think that’s what Jesus means about binding and loosing and maybe why he told His disciples to tell no one about Him. When we bind or restrict justice to the dominant and powerful and loose or release or enact injustice to the most vulnerable among us, heaven knows God sees and His heart breaks and people around us fail to see Jesus in us. When we bind ourselves to wanting things our own way, and do not release or loose ourselves into new possibilities for the good of us all, heaven knows, God sees, His heart breaks and people around us fail to see Jesus in us. If we fail to act because we are more concerned about what others will think of us rather that what others need, heaven knows, God sees, His heart breaks and people around us fail to see Jesus in us. Whatever we do and say in Jesus’ name on earth has an impact in the heavenly realm - God sees it - and others will either see or not see Jesus in us as a result. Why does Jesus command the disciples to say nothing about him being the Messiah? How will they build the church or withstand oppressive powers if they tell no one? Because the confession of Jesus as Messiah isn't theological algebra but evidence of a heart and life being transformed by God. Nothing needs to be said of Jesus and the kingdom when we are actively looking to forgive and be forgiven; when we are working for justice especially for the marginalised and the poor; when we are loving our neighbours and even our enemies in demonstrable ways. It is on rocks such as these that Jesus has and continues to build his church.